How does he fit with the Packers? A local legend who helps the Packers on many fronts. He could immediately step in as the Packers’ 5th receiver and will also help out as a returner. Abbrederis represents an incredible value this late in the draft, and certainly seems like a Packer person. NFL comparison: Comparison Nate Burleson – The pre-draft scouting reports on Burleson and Abbrederis are remarkably similar. Good size and hands, decent speed and runs precise routes. 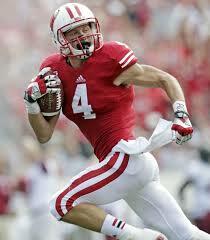 And like Burelson, Abbrederis should be able to contribute early on kick and punt returns. This entry was posted in Packers 2014 - 2015 Season and tagged Badgers, Jared Abbrederis. Bookmark the permalink.